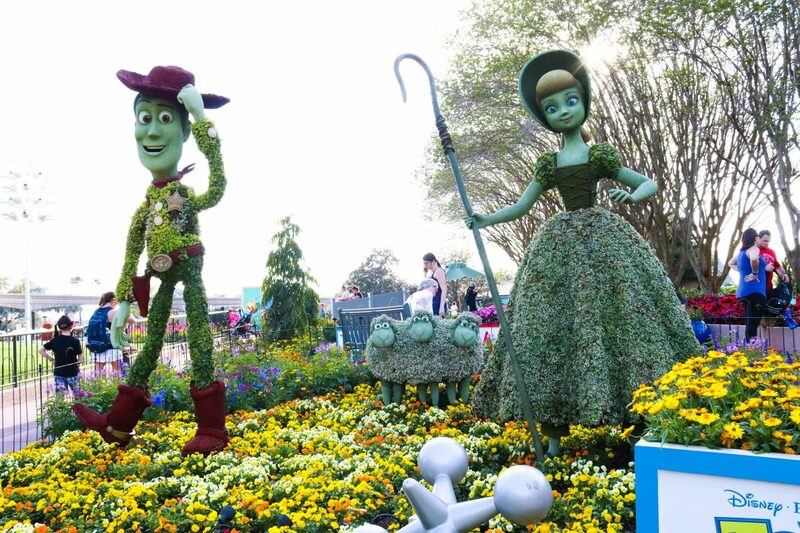 If you haven’t heard us say it enough, Flower and Garden is our favorite festival at Walt Disney World. It’s fresh, it’s fun and it is the best way to pull us out of our Ohio winter slump. The sight and smell of the spring flowers, the bright, beautiful foods and the impressive topiaries created each year just keep calling us back again and again.This year the festival was actually pushed back in its timeline and started a week later than it had in previous years due to, well, basically too many other things going on at Disney. Nonetheless, we decided to brave the start of the Spring Break crowds and visit our favorite festival again. We were happy to see some of our old favorites back again, but it’s always fun to when the festival brings something new too! 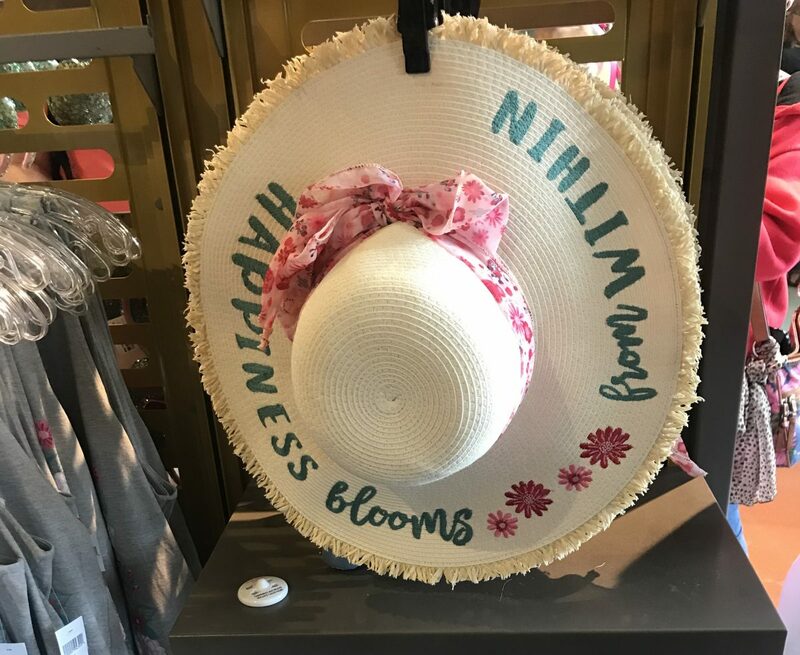 While we weren’t expecting a whole of newness, we were actually pretty excited with what new things did arrive at this years Flower and Garden Festival! Some of the new topiaries at the Flower and Garden Festival this year were just darling! 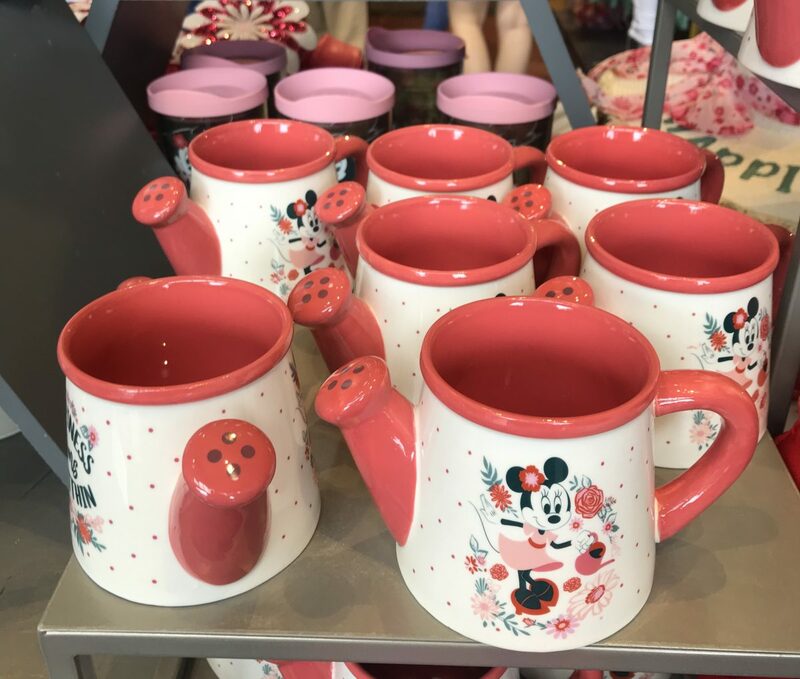 Mickey and Minnie took the place of the butterflies in Showcase Plaza(between Mexico and Canada) this year and we think this placement is perfect! Be aware though, this topiary gets some LONG lines, so if you’re hoping to have your photo taken with it, or if you just want a photo of the topiary itself, get there early. 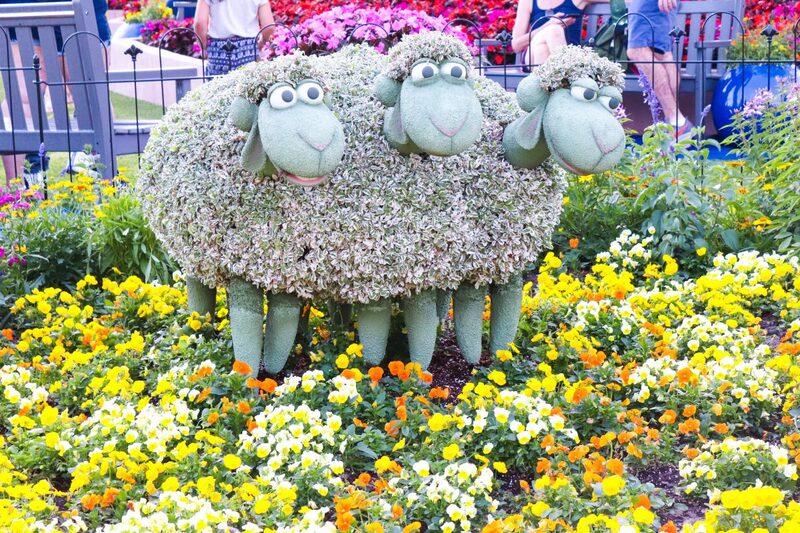 Another one of our favorite new topiaries is Bo Peep and her sheep! We are so happy to see her join fellow toys Woody and Buzz and you can find them near Test Track in Future World East. Along with the new addition of Bo, they’ve added a super fun play space for kiddos, so be sure to check out this space if you’ve got little ones. The new Sunflowers topiary in American Adventure feature Mickey and Minnie and bright beautiful sunflowers. This cheery new topiary can be enjoyed while you eat just about anything from The Smokehouse, and we highly recommend that you do. By now you guys may know, we are big into conservation and love all that the Disney Conservation Fund does around the world. 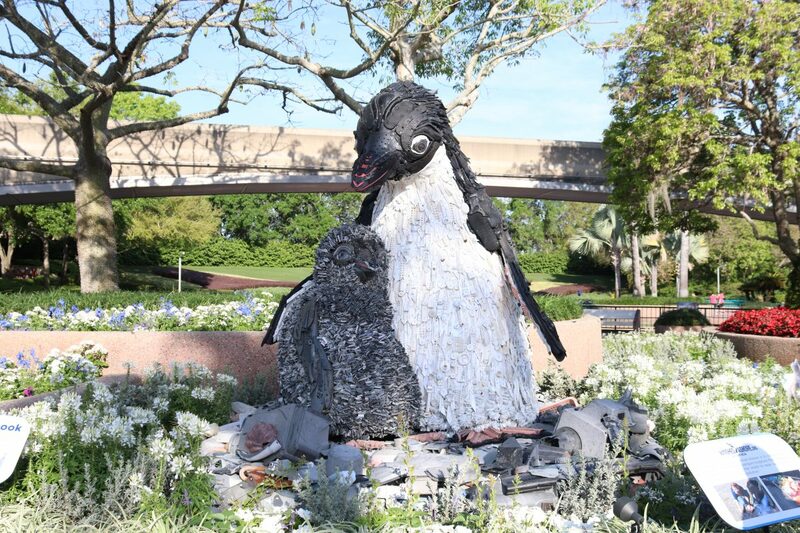 So we loved the new sculpture from Washed Ashore representing a mother penguin and her baby, created by using trash found in the oceans. It’s informational and a really cool way to bring awareness to conservation. This was also a pretty popular exhibit while we were there, so to avoid the crowds, again we recommend you go EARLY. Ok, so here’s the thing…. 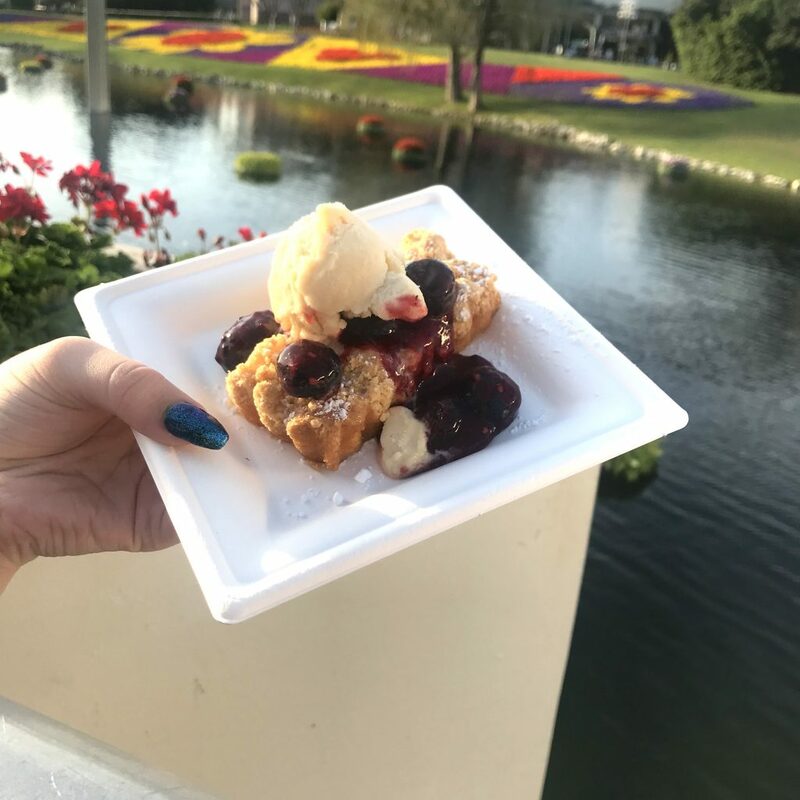 there were plenty of new foods to be had at the Flower and Garden Festival this year. Not all of them were delicious. Of course, you guys know, we always try a ton of food in the name of research at these festivals, so we were bound to find the good ones! Here are a few of our new favorites! So this was one of our top picks from the entire festival! This was perfectly balanced with sweetness and fruitiness, and it’s gluten free, which is always a win since we know a lot of you have dietary restrictions. This one wasn’t talked about much from what we were seeing on social media, but if you love peanut butter and jelly, this has your name all over it. Another gluten free option, this new chicken dish is a bit different than traditional orange chicken, but caries a similar flavor profile. Tangy, with a bit of sweetness, this was one we’d go back for again and again. With every festival comes more opportunities to cash in your 401(k) and drop it all on new merch! Just kidding, don’t do that…. but if you do happen to be a fan of new festival merch, here are a few of our favorites from this year! Did you make it to the festival this year? What were some of your favorite things this year?! 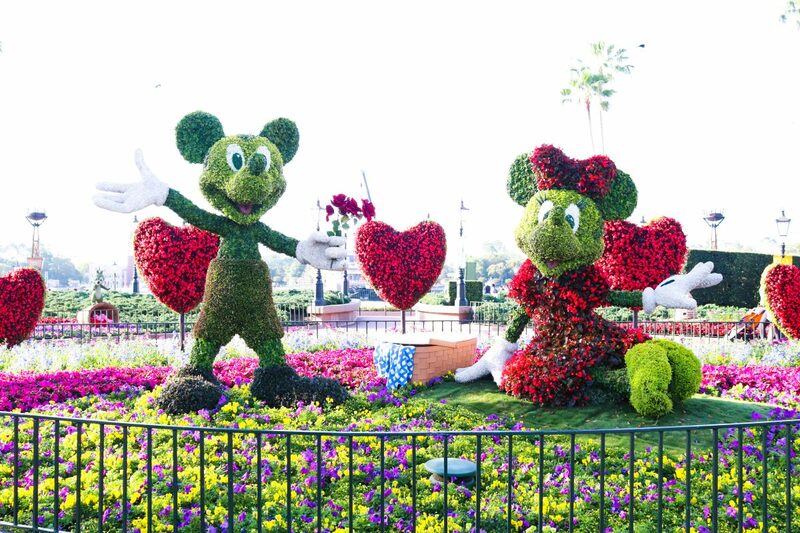 Check out all of our Flower and Garden Festival posts!